Before this trip of mine to Jhallong, I had never been to any forest. I always wished to visit one but it never worked out. This time, we 3 friends, planned to start with Dooars. But as we were in the middle of a project delivery, we didn’t had much time to cover whole Dooars at once. After scanning through the Wildlife Sanctuaries and National Parks in Dooars, we fixed at Jhallong. Though you technically can’t call Jhallong a National Park or a Wildlife Sanctuary, but for a night it seemed to be a perfect destination for us. 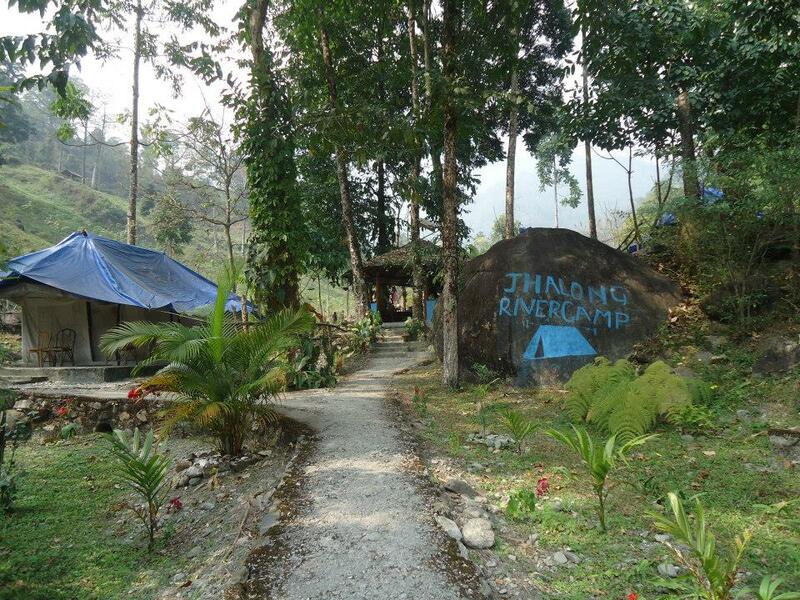 Specially we were very excited about staying in a camp within Forest. 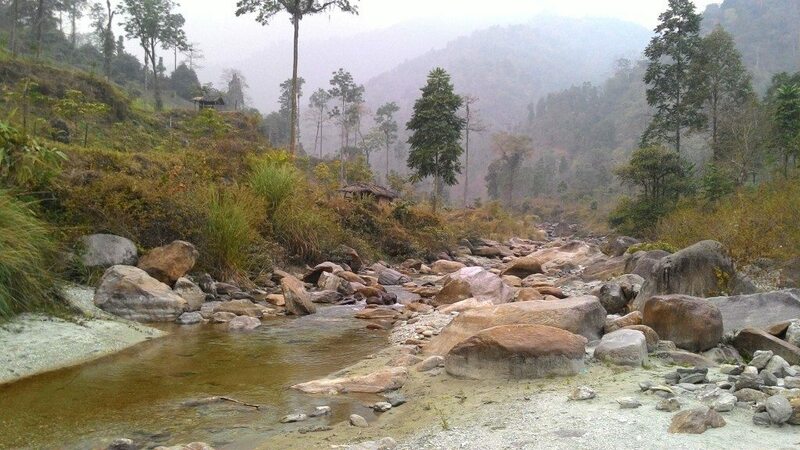 Jhallong is one of the lesser known hill stations and offer beautiful landscape and peace. 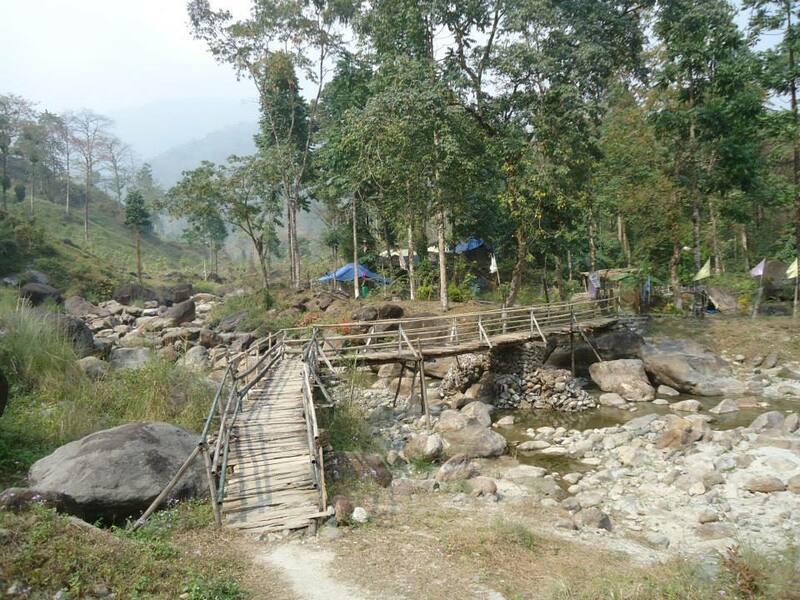 It is known for cardamom plantation and the journey through Chapramari Sanctuary is a pleasant experience. 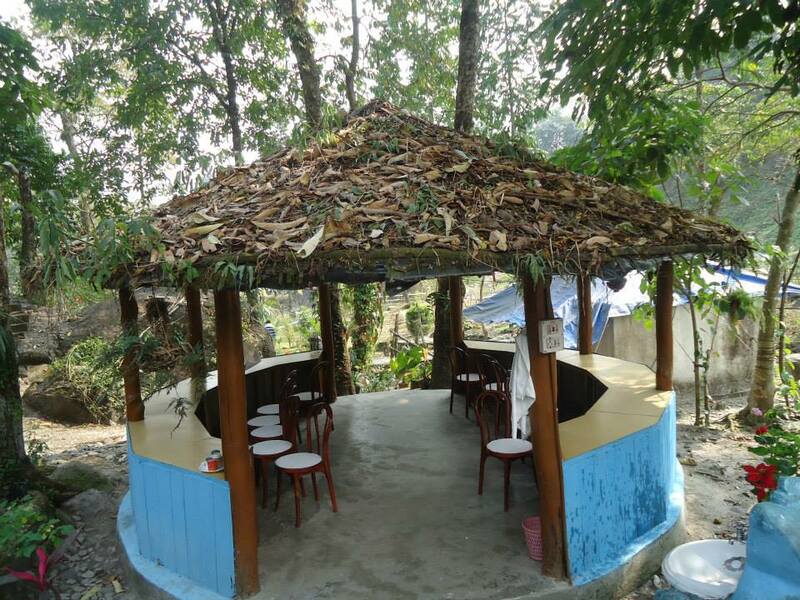 Jhallong River Camp is maintained by West Bengal Forest Development Corporation (WBFDC). So every booking is done from their Website directly. The different camps have been named on the birds that you’ll find there in the forest. So, name didn’t helped much to guess what’s the difference between the camps and the reason for price difference. We couldn’t guess anything due to missing of adequate amount of pictures too. After thinking a lot, we booked the Munia Swiss Luxury Tent-IV (Non-A/C ), the highest priced one. Our journey began by catching Darjeeling Mail from Sealdah Railway Station on Thursday night. February has just started and one can feel the Summer is on it’s way in the afternoon’s in Kolkata. 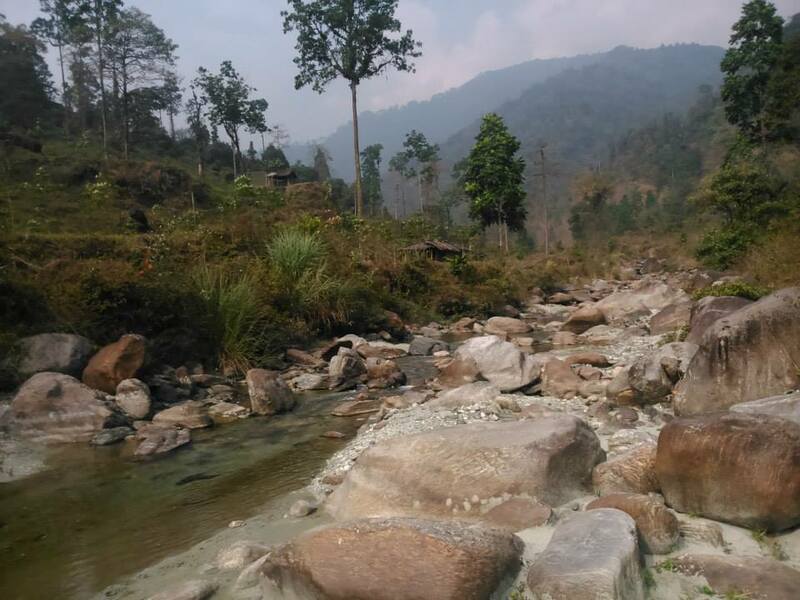 But, Thanks to the Himalayan Ranges, it was still chilly in North Bengal. We felt it as soon as we reached NJP (New Jalpaiguri) in the morning. > Jhallong can be very boring, as you have nothing to do there, except exploring the scenic beauty. So if you are not a nature lover, this place is not for you. > If you want to booze, please bring your Bottle from Siliguri / NJP. Once you enter Dooars, you’ll have a hard time finding it. Though the local village shops have it, but options are very limited. So if you want your favorite please carry it from Plains. > Shared cabs or other modes of Transport is not available here. So you have to book private cab, negotiating it for the whole trip. Generally they have fixed price of 3500/-, but depends on the Season you are visiting and number of people. Remember, that excludes the fooding and lodging for the Driver. Of course, you don’t need to pay the amount of the camp for him, but some basic cost is involved for his lodging. > Don’t try to book for more than one night, as it’ll be boring. Again, this is a small village with 50 – 60 people, and have nothing to offer except scenic beauty. If you still feel staying for more than one day, book it on the spot for next day after experiencing one night. > Food options are limited, you need to order at the counter beforehand. There are 5 – 6 caretakers who looks after this place. But if you are fine with Bengali Cuisine with regular stipulated food then you’ll face no problem at all. > Mr. Sushanta, the main responsible person for looking after this place, is very helpful and co-operating. Shoot out any questions to him, and he’ll be happy to help.